The collar bone functions as a strut connecting part of the top of the shoulder blade to the breast bone. 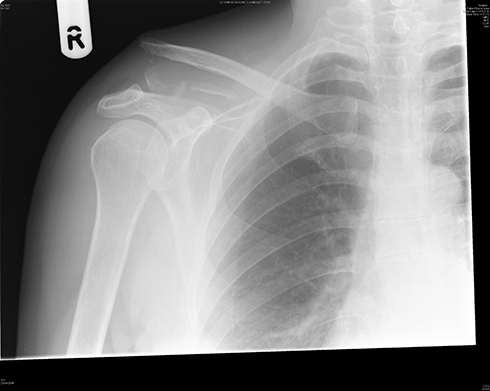 Fractures of the collarbone are a common injury following a fall onto the upper limb or directly onto the shoulder. Although the collar bone may break at any point along its length, it most frequently does so in the middle portion, less frequently at the outer end, and rarely at the breast bone end. Sudden onset of pain in the collar bone area following a fall, with a difficulty moving the arm secondary to this, are common. Bruising, swelling and a palpable bump or deformity in the region of the break may become apparent. Patients also commonly describe a “clicking” or “grinding” sensation with movement of the arm away from the body in the first few weeks following the injury. Ultimately, X-ray will confirm the diagnosis. Many breaks of the collarbone can be treated non-surgically with pain relief and a sling for comfort for the first few weeks prior to commencing physiotherapy. 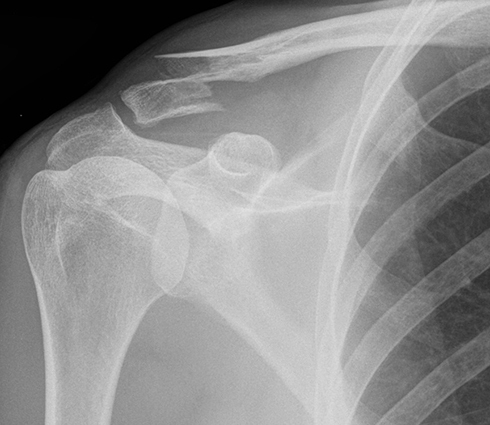 With some breaks a surgeon may recommend an operation to fix the collarbone with a plate and screws; this is determined by the location of the break within the bone and how displaced the pieces are from one another. The reason these attributes of the break are important relates to the risk of the collar bone not joining itself adequately back together again. Overall the risk of a break in the middle of the collar bone not uniting by six months after the injury is 4.5%, compared to 11.5% when the break is located at the out end. In all locations, the further apart the fragments of bone are, the greater this risk, and it is also important to consider this in relation to age and any other health problems on an individual basis. 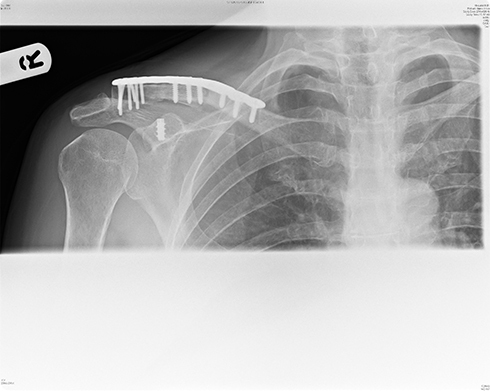 Surgical collarbone fixation is performed through an open incision to allow access to the broken ends of the bone, which are re-aligned and held in place using shaped plates and screws that are specially designed for this purpose. The current generation of plates have a very low profile on the bone, while remaining exceptionally strong, and therefore often do not need to be removed. After the surgery you may notice a numb patch of skin just below the scar. This often becomes smaller with time but may persist to some degree permanently. Most other complications are rare but include a risk of infection, damage to nearby nerves/blood vessels and delayed or non-healing of the break despite surgery. A period of immobilisation in a sling is required, particularly until the wound has healed, and physiotherapy will be organised prior to discharge from hospital. Driving can often be resumed around six weeks and return to contact sports considered at 10-12 weeks following surgery.